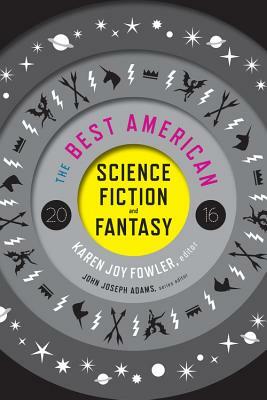 From quiet, elegiac, contemporary tales to far-future, deep-space sagas, the stories chosen by series editor John Joseph Adams and guest editor Karen Joy Fowler for The Best American Science Fiction and Fantasy 2016 demonstrate the vast spectrum of what science fiction and fantasy aims to illuminate, displaying the full gamut of the human experience, interrogating our hopes and our fears—of not just what we can accomplish or destroy as a person, but what we can accomplish or destroy as a people—and throwing us into strange new worlds that can only be explored when we shed the shackles of reality. KAREN JOY FOWLER, guest editor, is the author of six novels and four short story collections, including We Are All Completely Beside Ourselves. She is the winner of the 2014 PEN/Faulkner Award, a finalist for the Man Booker Prize, and has won numerous Nebula and World Fantasy awards. JOHN JOSEPH ADAMS, series editor, is the best-selling editor of more than two dozen anthologies, including Brave New Worlds and Wastelands. He is the editor and publisher of the digital magazines Lightspeed and Nightmare and is the editor of John Joseph Adams Books, a new science fiction/fantasy novel imprint from Houghton Mifflin Harcourt. KAREN JOY FOWLER is the author of six novels and four short story collections, including We Are All Completely Beside Ourselves and Black Glass. She is the winner of the 2014 PEN/Faulkner Award, a finalist for the Man Booker Prize, and has won numerous Nebula and World Fantasy Awards.